Spring is finally here. In case you were wondering the official First Day of Spring was March 20th at 6:29 a.m. EDT . Finally the sun is making a debut for the Spring Season and we want to Celebrate the warmer weather with you. 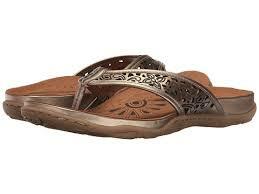 Our Spring Sandals and Shoes have been arriving and we are so excite d ! At the Right Shoe, the Earth brand and Aetrex, introducing the Maya and we are bringing back Kim by Aetrex. The Maya by Earth will provide you with a Multi-Density cushion with arch support giving you intricate leather work that is fashionable for Spring. Keeping with Earth’s philosophy is a simple approach to shoes is to make your feet feel comfortable and to also love the way you look. Th e Kim by Aetrex is a simple, stylish design with advanced orthotic foot bed to support featuring the Aetrex “Healthy 3”. Get all the benefits of Aetrex ” Healthy 3″ in a memory foam cushion and supportive arch support with antimicrobial technology in the Kim your feet will “Thank You”. Aetrex “Healthy 3” features a Lynco Arch support and positions your foot to better align the body to help avoid unnecessary foot, knee and back pain. A thick layer memory foam cushioning with a slower recovery memory foam return. 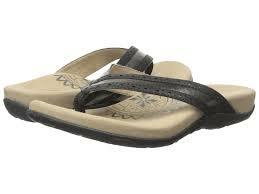 Lastly, Aetrex anti-microbial technology to prevent the growth of bacteria and fungi in your Aetrex sandals. Earth signature comfort foot bed featuring a premium leather upper in the M aya providing a heel strike relief pod for all day comfort . The Maya by Earth is available in Black, Coral, White and Platinum you’ll find it difficult to just pick one this spring. The Kim by Aetrex is available in Brass and Cream Ready to Celebrate the Sunny Days of Spring. Visit The Right Shoe by YOU and Pick up a few Spring Sandals this Season, located in York, Lancaster and Lititz Pennsylvania.